Have you ever dream that you could win a house that worth RM489,000? This is not just a dream it’s going to be a reality because one (1) Guardian customer is going to win their dream home. Forty-one Guardian Malaysia shoppers went through an exhilarating one-hour reality challenge which saw them pitch their wits against each other in the final lap of the Guardian Win A House (WAH) contest. 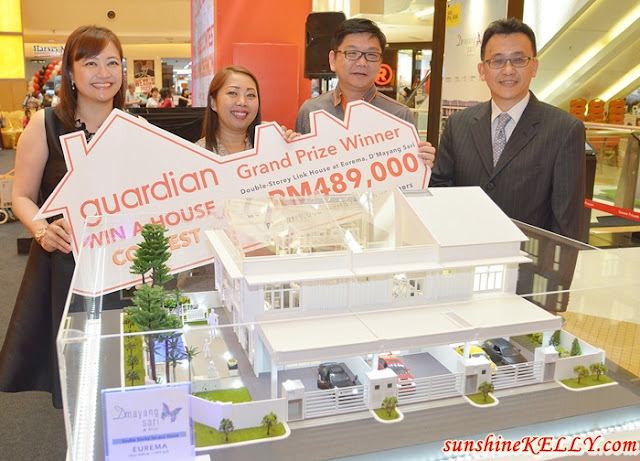 Congratulations to Guardian Win A House grand prize winner, Syarina Nordin who won her dream home, worth RM489,000 after went through the 4 stages of challenges. She won the double-storey link house valued at RM489,000, in Seri Pajam, Nilai. The others took home, between them, 500,000 air miles, 10 Kuvings Slow Juicers, worth more than RM2,800 each, and 40 La Gourmet utensils and product hampers worth more than RM100 each.